The story of Mick Mick Farren? If only that were true. But one of the most ferociously determined careers of the past four decades has twisted down far too many alleyways for a single disc to sum it up. There's nothing here from either the Ork days or the Stiff EP (although there is a live version of the killer "Screwed Up"), while the latter years of the re-formed Deviants and sundry Mick Farren spin-off projects are also absent. Look back at the two Total Energy comps that appeared during 2000-2001, and the same story was told with a lot more precision by either. That said, what People Call You Crazy does, it does well. All three original Deviants albums are represented with undeniable highlights -- the Zappa-esque "Billy the Monster" and a superbly subversive rampage through "Papa-Oom-Mow-Mow" included. The solo Carnivorous Circus drops in that drooling rendition of "Mona" that makes every other version of the song sound anaemic, while Mick Farren's most commercial album ever, 1978's Vampires Stole My Lunch Money, delivers both "I Want a Drink" and "Half Price Drinks," by way of light relief. Meanwhile, 1999's The Deviants Have Left the Planet turns in a seething version of Dylan's "It's Alright Ma," another of Mick Farren's most priceless cover versions. Neither does the album lack the sense of occasion that the best of Mick Farren's work takes for granted. 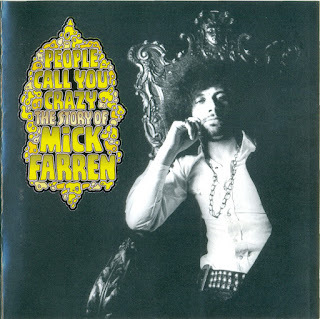 Rocker, poet, and author, Mick Farren is to the underground all that Patti Smith could have been to the mainstream, a voice of furious dissent that's as likely to veer off into a screaming tone poem as cut loose with a sharp riff rocker. Ten minutes of "Dogpoet" and isolated blasts elsewhere all lift the listener out of the seat with their ferocity -- a talent that too few other performers have ever dared employ, and the reason, perhaps, why there are so many vast gaps in Mick Farren's recorded time scale. People were usually too scared to sign him. It's the memory of that fear that makes this collection so enjoyable -- and so infuriating as well. 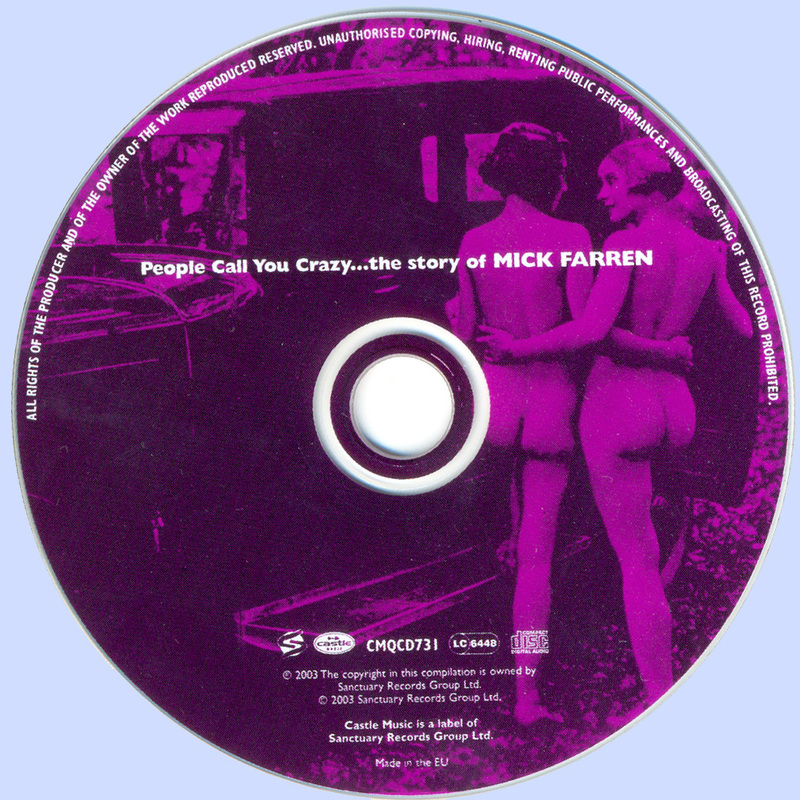 There've been Mick Mick Farren compilations in the past; no doubt there'll be more in the future. But not one of them tells the story, no matter how adamant this set's subtitle sounds. This is just the highlights of a couple of chapters -- the full tale would take up a box set. So where is it?